It’s time to take a closer look at how CBD influences sleep. Supplementing with CBD is very "en vogue"—all kinds of people are turning to the natural healing power of cannabidiol instead of pharmaceuticals. But how does CBD affect your sleep for better or worse? Keep reading to find out. CBD (cannabidiol) is the non-psychoactive cannabinoid that has become the rising star of the medical cannabis community. And more recently, it’s become a top trending nutraceutical super-supplement. Cannabidiol is commonly sourced from both industrial hemp and psychoactive cannabis varieties. However, CBD oils and the vast majority of other legal CBD-infused products are usually derived from high-CBD industrial hemp. Extracting CBD from cannabis strains is still widely prohibited. In fact, RQS CBD oil is exclusively sourced from organic EU hemp. The most popular CBD products on the market are CBD oils, CBD topicals, and CBD softgel capsules. CBD is proven to help the body maintain homeostasis. Moreover, CBD interacts with the body via the ECS or endocannabinoid system. This network of receptors is common to all humans. CBD has a reputation as the “healing” cannabinoid. Furthermore, it also has real provenance as a natural sleep aid—but not in the way you may think. Sleep is complicated to begin with. There are actually 5 stages of the sleep cycle. Stages 1–4 comprise the (NREM) non-rapid eye movement, while stage 5 is the (REM) rapid eye movement phase. These sleep cycles last about 90 minutes. Over the course of the night, the amount of time we spend in NREM and REM stages shifts. Undisturbed sleep is essential. Between 4–6 consecutive cycles is the optimal duration over a 24 hour period. It’s commonly accepted that the average adult needs 8 hours of sleep per night. A small minority of the population, approximately less than 5%, can do with as little as 5 hours without suffering cognitive and physical side effects. The consequences of sleep deficiency include multiple adverse outcomes. You can expect deterioration in all aspects of your health and wellbeing. Lack of sleep and/or poor-quality sleep will age you prematurely, compromise your decision making, dramatically decrease your athletic performance, and increase the risk of injury. Alcohol or drug-induced sleep is not the healthy, restorative sleep the mind and body needs either. While researching for this blog, we discovered some major disparities between the findings in scientific studies and the anecdotal evidence of regular CBD users. Unfortunately, the academic research is fundamentally flawed, and in some cases, seemingly compromised by a conflict of interest. Similarly, it can be difficult to conclude the true nature of anecdotal arguments. Human trials are few and far between. The lone 2016 CBD and sleep-related study was restricted to a single adolescent suffering from PTSD and resulting insomnia. Although, the conclusions indicate the poor girl was sleeping better and on the road to recovery with a low sublingual spray dose of CBD. We must disclose that GW Pharmaceuticals founded the Cannabinoid Research Institute that carried out the research. WHAT DO ORDINARY CBD USERS HAVE TO SAY? Supplementing with a couple drops of CBD oil under the tongue is an increasingly common pre and post-workout supplement routine. That’s because by itself (and in smaller doses) CBD is not a sedative. That doesn’t necessarily mean it doesn’t contribute to better sleep. 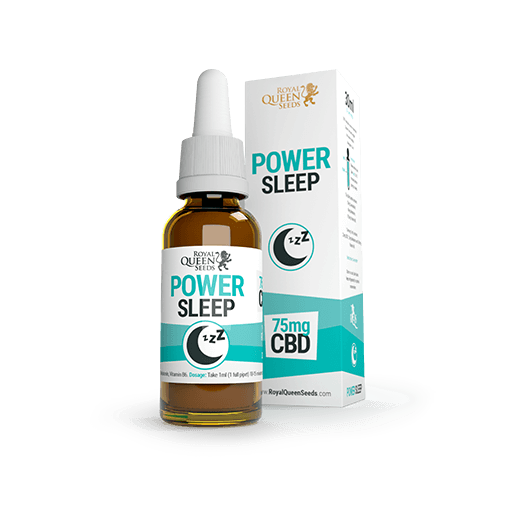 Formulations of CBD oil, liposomes, and melatonin like Power Sleep CBD are already helping ordinary people get a good night’s rest. Melatonin is a natural hormone produced by the human body that is essential for maintaining proper circadian rhythm. By supplementing melatonin with CBD, the cannabinoid contributes to a deeper, more structured sleep. COULD CBD TREAT THE ROOT CAUSES OF SLEEP DEFICIENCIES? It can be presumed that CBD’s effects on sleep are more indirect than, say, the ultra-sedative THC, which is known to knock consumers out in less than an hour. Chronic pain, restless leg syndrome, depression, PTSD, and a host of other illnesses have been definitively linked to sleep deficiency. Similarly, CBD is being considered as a treatment for these very same conditions. By alleviating the symptoms that prevent one from sleeping, CBD could play an influential, albeit background role. These days, more and more people are seeking natural remedies as alternatives to prescription sleep aids. Prescription drugs like Valium can be habit-forming and will destroy your liver over time. The unnatural sleep that sleeping pills induce can leave you feeling less-than-refreshed and groggy the following morning. More in-depth research and broader human trials are desperately needed to advance the exploitation of CBD and enhance our knowledge. For now, the only way to find out for sure if CBD contributes to better sleep is to try it for yourself. Power Sleep from RQS is formulated to help restructure a broken sleep-wake cycle and shorten the sleep latency phase, so you can sleep longer and more deeply.